For the first time in 29 years, the U.S. and China failed to reach a closing declaration at the Asia-Pacific Economic Cooperation summit, underscoring the severity of tensions between the world's two largest economies, reports AP. 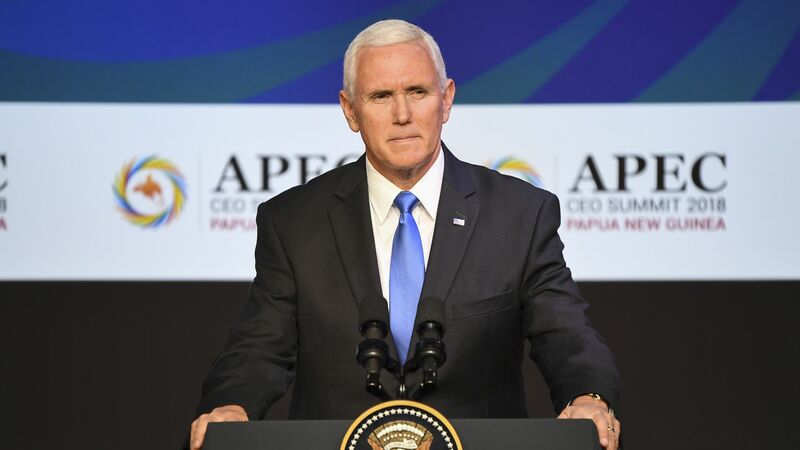 The big picture: During the two-day summit in Papua New Guinea, Vice President Mike Pence — attending in place of President Trump — repeatedly criticized China for its hostile trade practices and warned developing nations of falling into a "debt trap" through China's generous infrastructure loans. Chinese President Xi Jinping, meanwhile, used his speech to condemn protectionism and unilateralism in a slight to the Trump administration. Trump and Xi are expected to meet at the G-20 in Buenos Aires later this month amid their ongoing trade war and the Trump administration's governmentwide effort to paint China as a bogeyman.